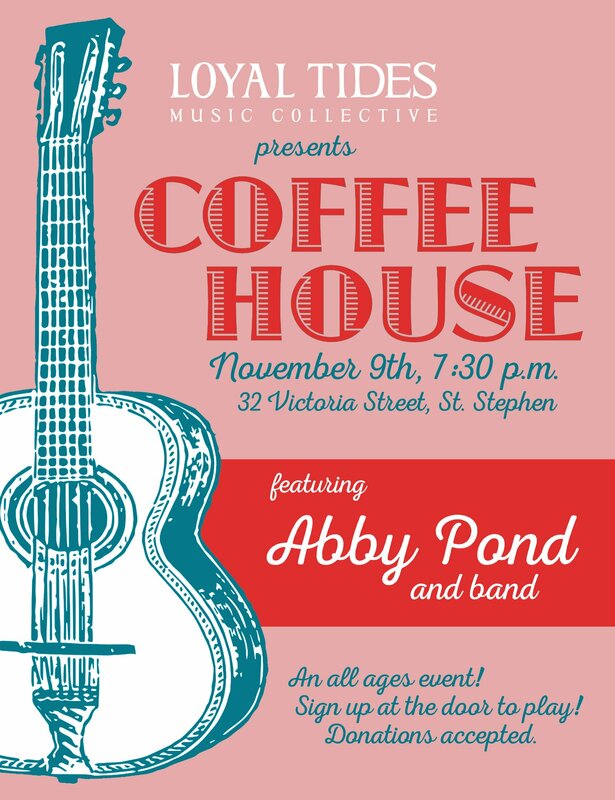 Loyal Tides Music Collective invites you to Coffee House, FRIDAY, November 9th, from 7:30 – 10 pm. Featuring Abby Pond & Band! All ages of artists are invited to sign up at the door to play 1-2 songs each. It’s a wide variety of musical genres in a comfortable atmosphere. No cover charge – donations are accepted at the door. Specialty coffees and refreshments are available. It’s a great evening out for all ages!